The church of St Mary the Virgin in Eaton Bray is situated in the centre of the village to the south of the main High Street. On-street parking is available in Church Lane. 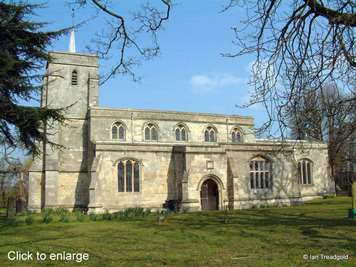 The church consists of a chancel 32 feet by 17 feet, a nave of 51 feet by 23 feet, two aisles with chapels and a modern tower. 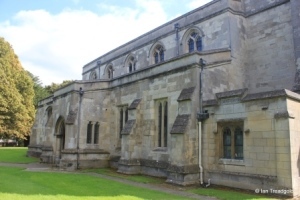 Unusually, the chapels, especially the south are wider than the aisles themselves and the south porch adjoins the south chapel. 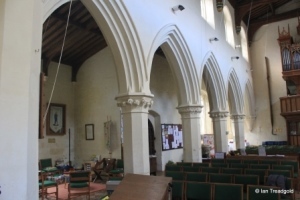 Much of the fabric of the church has been restored in Victorian times. The south or Lady Chapel has windows to the east and south and joins directly onto the south porch. 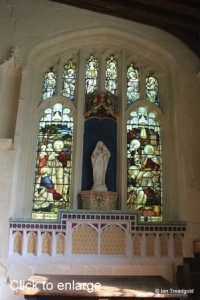 The east window of the chapel is of three cinquefoiled lights under a four-centred arch with perpendicular tracery above. 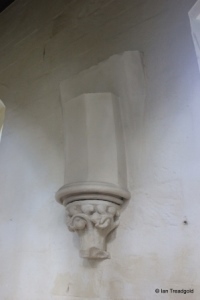 The middle light is blocked and internally holds a statue niche containing a statue of the Virgin Mary. 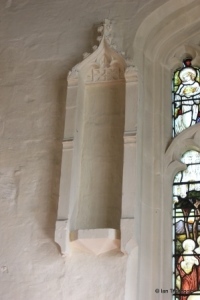 The current statue was presented to the church by Revd James Carter during his ministry in the period 1920-39. 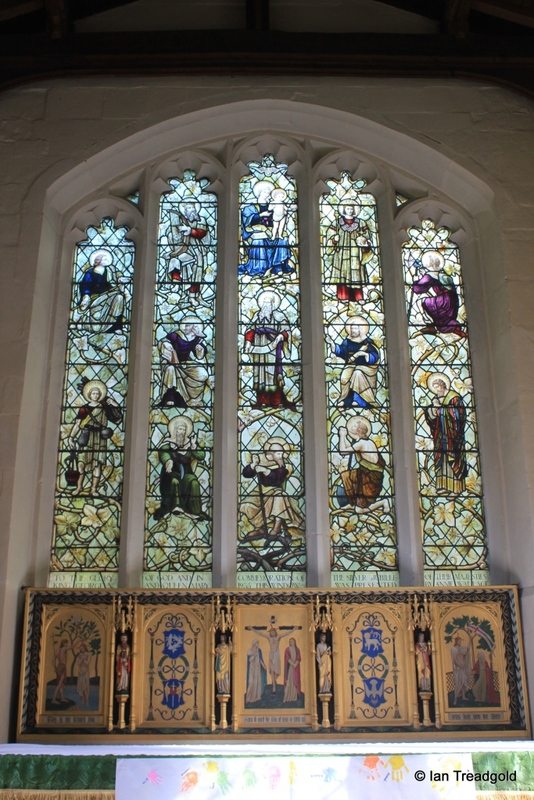 The glass in the windows was given as a memorial to an earlier vicar, Revd Gregory Whyley who was minister between the years 1825-71. 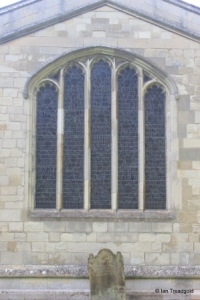 The south window of the Lady Chapel dates from the early C17 and is of four uncusped transomed lights under a four-centred arch. 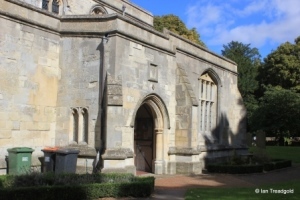 The south porch is built onto the west end of the Lady Chapel and both the outer doorway and the door itself are under two-centred arches. 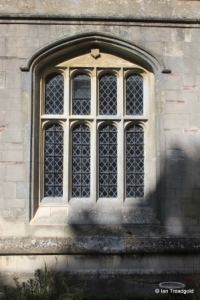 The west side of the porch has a modern window of two trefoiled lights under a square head. 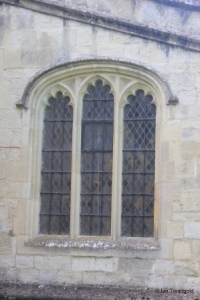 The only window on the south side of the south aisle, to the west of the porch is a modern window of three cinquefoiled lights under a flattened four-centred arch. 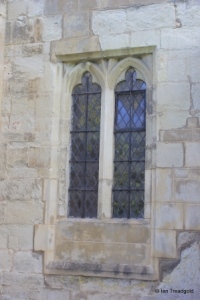 There is a modern single cinquefoiled light window under a two-centred arch to the west end of the aisle. 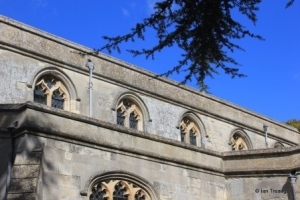 The clerestory level has five windows on each side, all two-light ogee headed cinquefoiled windows under two centred arches with quatrefoil tracery above. 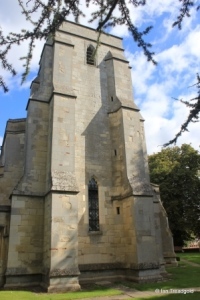 The original tower dated from around 1320 but over the years was restored and rebuilt. Eventually in the late C19 it was decided to replace the tower completely due to its condition at the time. 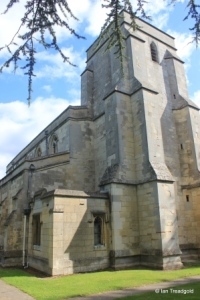 The current tower is of three stages with angle buttresses to the west with the south-west corner buttress housing the internal stair. The belfry level has single trefoiled openings under an ogee head. 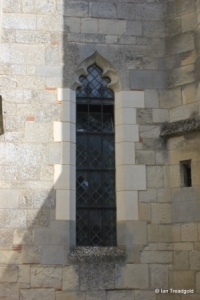 The single light west window is cinquefoiled under an ogee head. 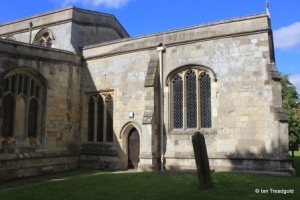 The modern vestry, dating from 1930 is under the tower to the north-west. 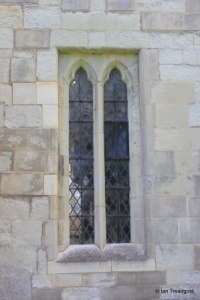 The north aisle has two windows to the west of the north porch. 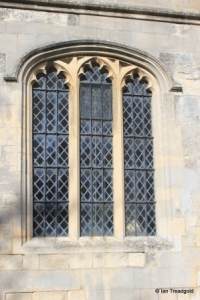 Both are two-light trefoiled windows under square heads although the eastern window is shortened by masonry at the bottom. 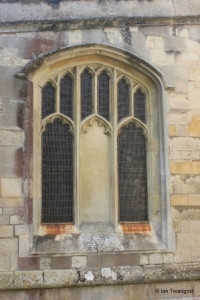 The north porch has a western window of two trefoiled lights under a square head. 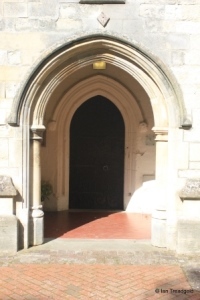 The outer doorway is a two-centred arch whilst the door itself is in a pointed arch. 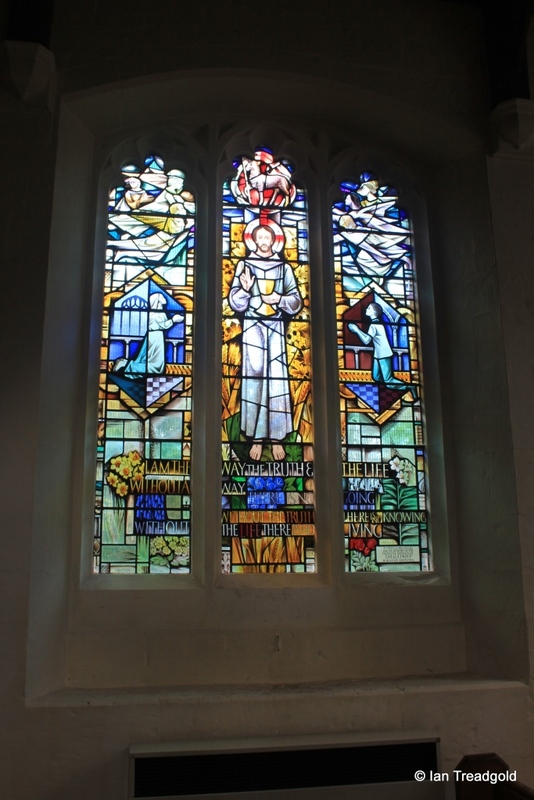 The north chapel has a three-light cinquefoiled window under a segmental head to the north with modern stained glass dating from 1994. 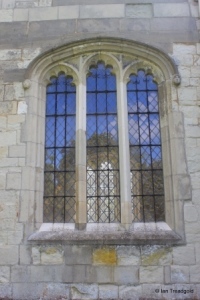 The east window of the north chapel is a modern three-light cinquefoiled window under a flattened four-centred arch. 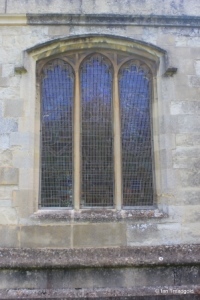 The north side of the chancel has two windows, both cinquefoiled. 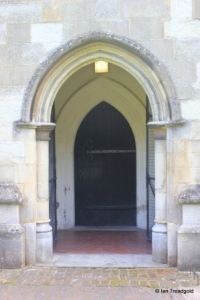 The western has two lights under a square head whilst the eastern has three lights under a flattened four-centred arch. 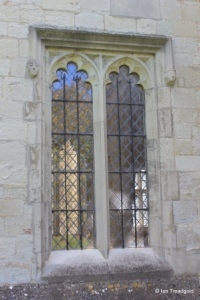 The east window is of five cinquefoiled lights under a four-centred head. 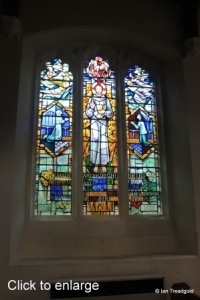 The stained glass in the window commemorates the Silver Jubilee of King George V and Queen Mary in 1935. 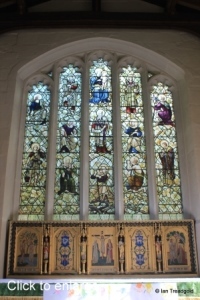 The south side of the chancel also has two windows which match those on the north with the exception that the westernmost is of three lights on the south as opposed to two on the north side. 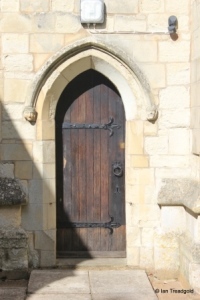 Separating the two windows on the south side is the priest's door under a pointed arch. 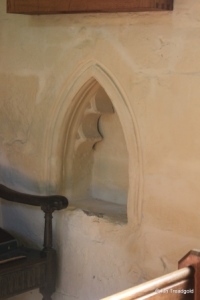 The Lady Chapel has a piscina under a cinquefoiled pointed arch. 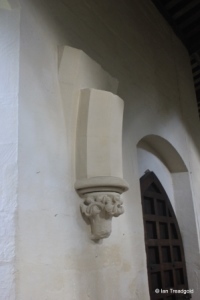 In addition to the statue niche in the east window already mentioned, there is another statue niche to the north of the window and a bracket to the south. 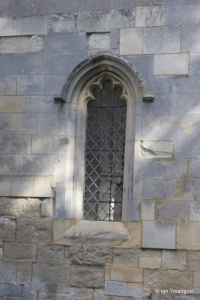 The sedilia and piscina in the chancel are embedded into the south-east window of the chancel using the sill as the sedilia. 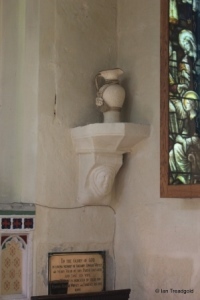 The piscina has as lintel above supported by shafts and there is a shelf at the back. 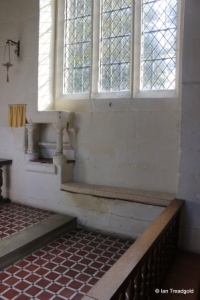 To the east, covered by a curtain, is a locker or aumbry. 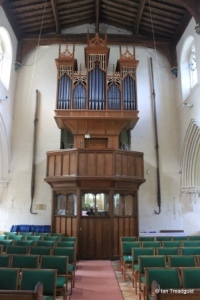 The organ occupies the space at the west end of the nave having been moved here in 1923 although the organ now in use dates from 1991. The two hooks on the walls to the side of the organ are iron hooks used for the removal of burning thatch from village cottages. These were stored in the church for use by all. 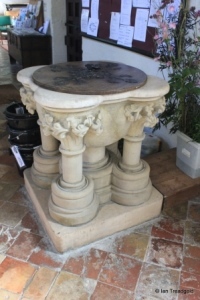 The font has a large bowl resting on a central column and four detached columns with foliage carvings similar to that in the north arcade. 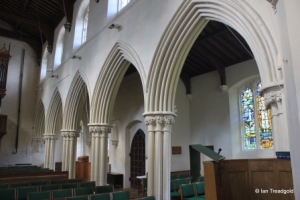 The main glory of the church is the two arcades of columns separating the nave from the two aisles. 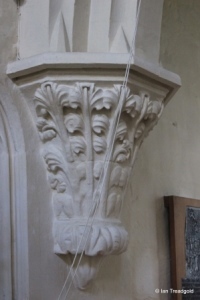 Not only are they amongst the most detailed in the county but provide many challenges in interpretation. The two arcades are different in style. 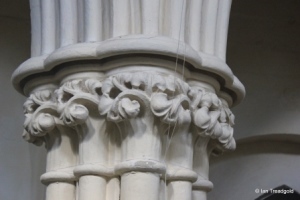 The south arcade has octagonal columns with stiff-leafed flowers on the capitals. 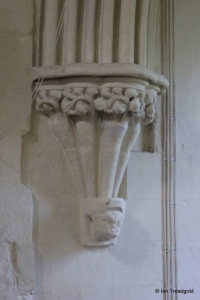 The north arcade has fluted pillars an richly moulded arches. 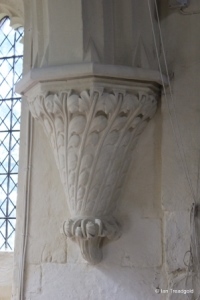 Both arcades meet the west wall and east end of the nave in intricately decorated conical shaped responds. 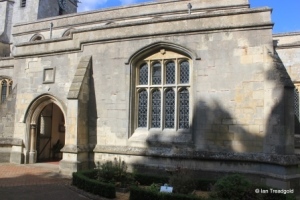 The reason for the difference appears to lie in a dispute between the owner of the manor, William de Cantelupe and the Priory of Dunstable. 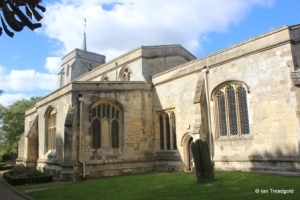 The north aisle was built to Cantelupe's direction and after the dispute he withdrew from the church and it was completed in a simple style by the Priory. 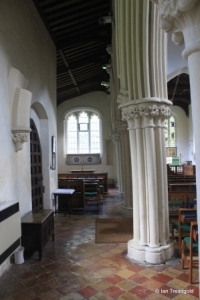 The mysteries of the north aisle however continue because on the arcade is not vertical and leans outward. On the north wall are two springers for arches that would run north to south and could have acted as buttresses to the walls between the arches of the arcade if completed. It is possible that the builders feared the collapse of the arcade but the buttresses were never finished. 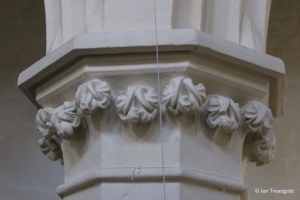 Above, the corbels supporting the nave and chancel roof are painted carvings possibly of local characters or the builders of the church. 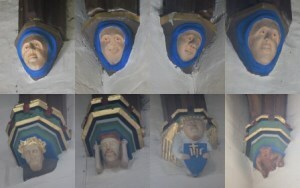 These were repainted in medieval style in the 1980's. Page last changed 30/09/2014. Reformatted 31/01/2016.